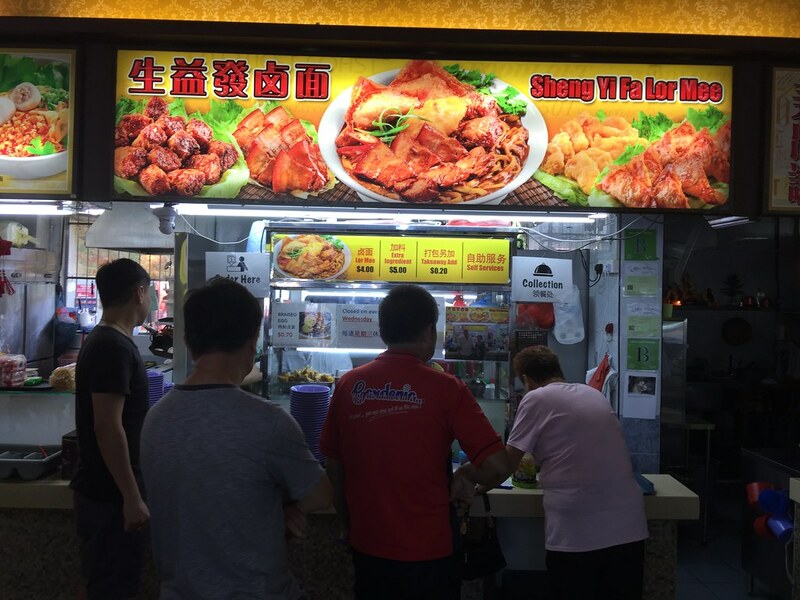 For those who stay in the West, you probably will know about Sheng Yi Fa Lor Mee (生益发卤面) at Blk 443 Clementi Ave 3 (Clementi Central). There is always a snaking queue at the stall and they are sold out slightly after noon. 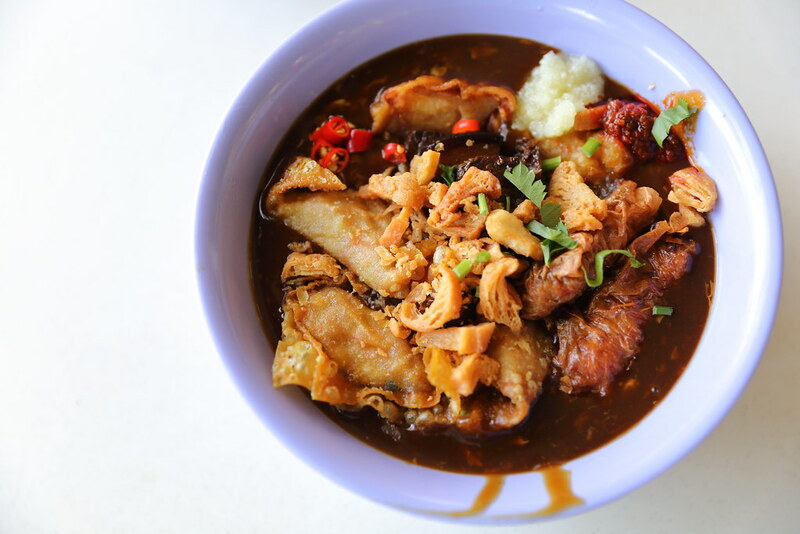 It is with great joy to announce that the Lor Mee Uncle and Aunty has come out of retirement after almost a year and re-opened the stall at Blk 501 West Coast Drive. They are at the same coffeeshop where Ah Hoe Mee Pok is located. I have a brief chat with the stall uncle when he was taking a break. He told me that his son wanted to learn the recipe and skill and pursued him to come out of retirement. His son also rooted in a partner who helps out at the stall when I visited the stall. Uncle told me that his son still holds a day job. He will come in the early morning to help out in the prep work and cooking, leaving in the late morning for his day job. 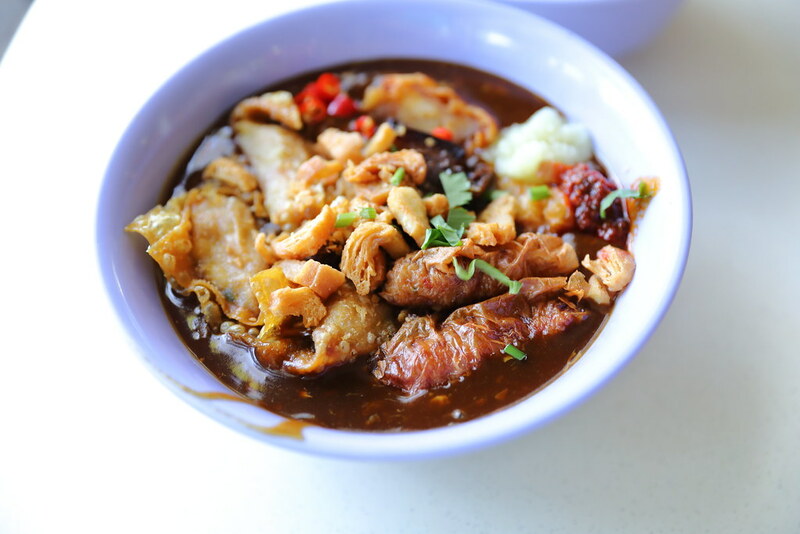 A basic bowl of Lor Mee starts from $4 which comes with braised pork belly, deep fried dumpling, ngor hiang and fried fish nugget. I have the $5 bowl which comes with extra ingredients. 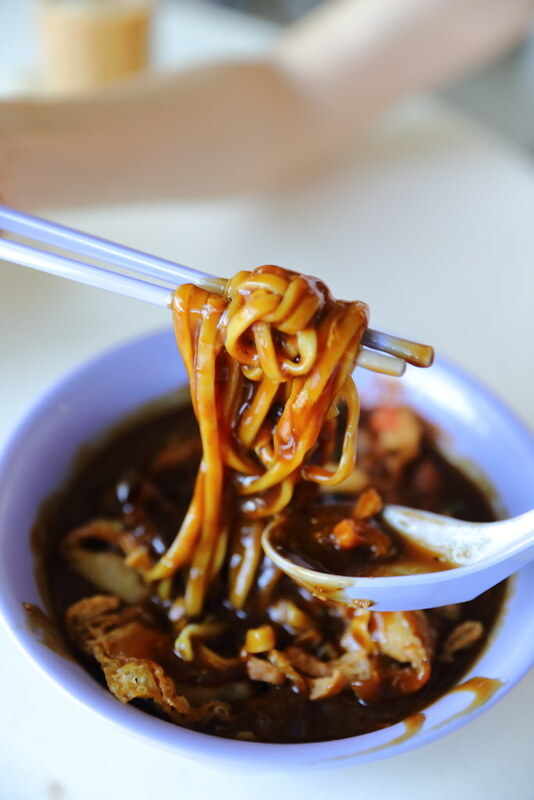 The lor mee here does not come with fishcake or braised egg. You have to pay an additional $0.70 for a braised egg. I noticed a different in the bowl of lor mee now. Uncle has added the bowl of noodle with crunchy flour bits for that extra texture. Customers can help themselves to their liking of chilli, ginger and black vinegar. 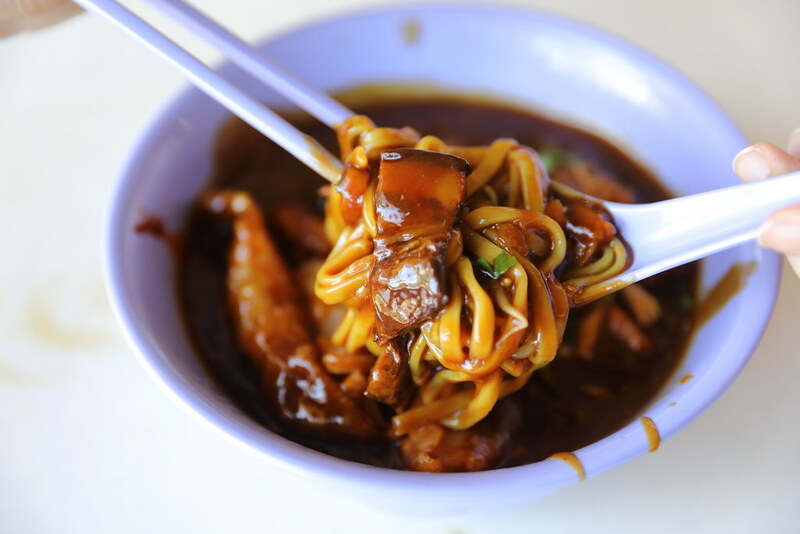 Most lor mee gravy is brown in colour, gooey and at times even lumpy. 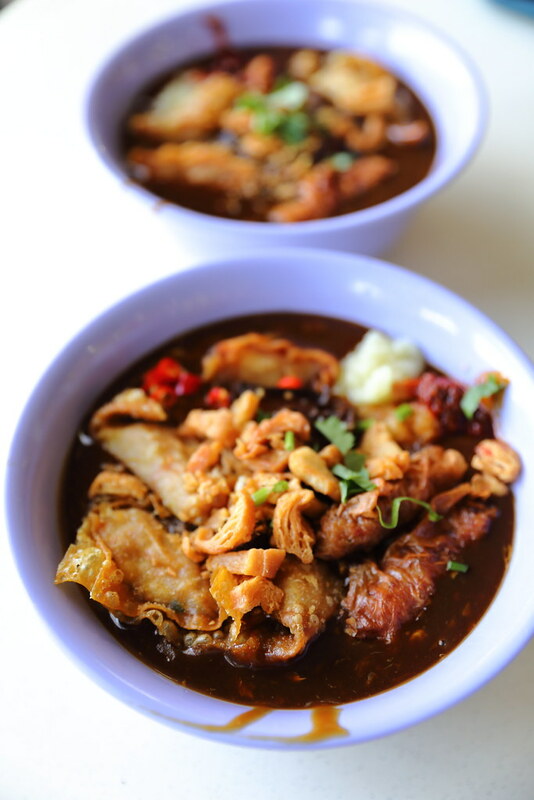 However at Sheng Yi Fa Lor Mee, the gravy is actually dark coloured, almost black. It looks similar to those beef noodle gravy. The gravy is smooth and comes with a lot of depth. Another different compared to elsewhere is the used of braised pork belly which is beautiful cooked to a nice tender. I am really glad that uncle has come out from retirement. Every slurp of the delicious noodle brought back that fond memories of the familiar taste which I have missed so much. I really hope his son and partner are able to pick up the skill and continue his legacy.